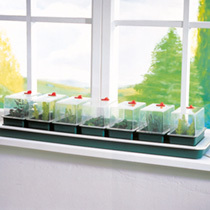 Ideal for the amateur gardener to provide the constant gentle heat required to successfully rear seedlings on a windowsill indoors, the Garland Super 7 propagator comes with seven mini propagating trays and vented lids to allow great flexibility in both variety and number of individual seedlings grown. Measures 76cm (30") x 18.5cm (7") x 14cm (5½") high. 13 watts. 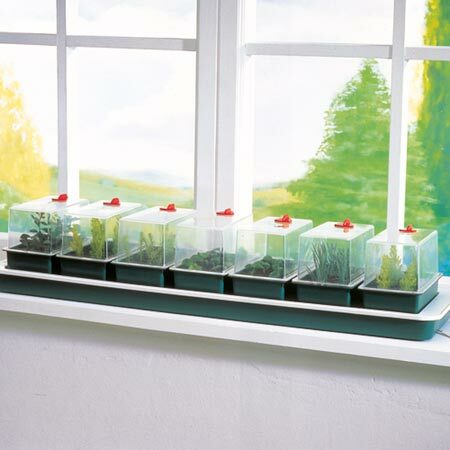 A handy windowsill sized propagator!